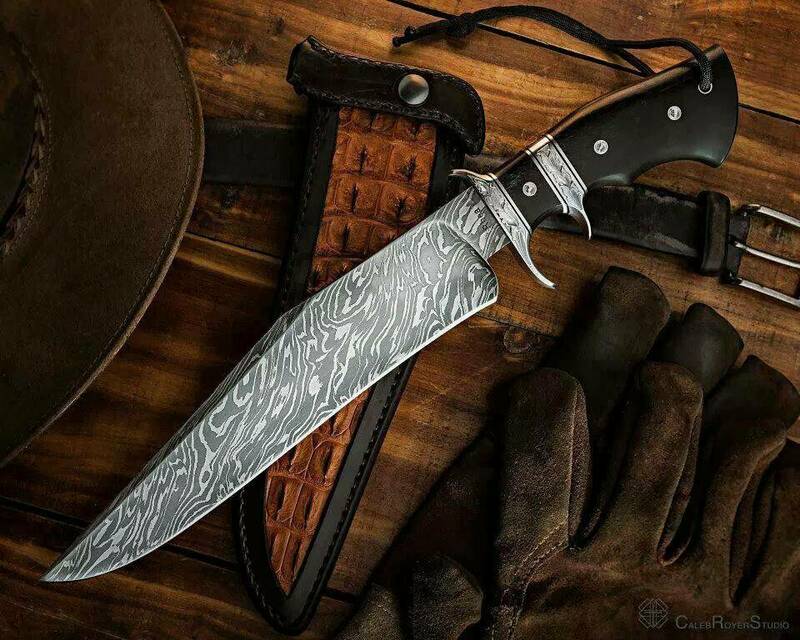 Once a person wraps their hand around that grip, made of ironwood or perhaps purpleheart, or some other exotic wood or material, and run your fingers gently over the sharpened edge of some form of Damascus or special steel, you can just feel the craftsmanship and the skill it took to make a custom knife. Yes, I have to admit I’m a custom knife addict. For me, and thankfully many others, owning a knife that is, generally speaking a different type of quality than a factory produced knife, is the stuff dreams are made of. When you are buying a knife made by hand, or in the case of some, making a knife by hand, you are not just creating a tool, you are creating what can be a family heirloom. Something passed down and treasured for generations to come. Granted, this is my opinion as someone who has collected, used, made, sold, lusted after knives for the better part of 40 years. So take it for what it’s worth. However there are many others like me. There is also an association for collectors of custom knives. I will provide more information on it, as well as some comments from it’s President a bit further in this article. I also will give some advice on buying your first custom knife, collecting in general. What’s so great about a custom knife? First off let me say, there isn’t a thing wrong with most factory knives. A good quality, name brand production knife will give you many years of good service. Many factory knives have developed a collector following, and are worth quite a bit of money. I have many myself that I love and will keep forever. Comparing factory production knives to custom handmade knives is a bit of apples to oranges. One thing that I find very appealing about the world of custom knives is selection. If you walk into any shop that deals with factory knives, or find a dealer online, you are going to find a limited number of options for any given model knife. Whereas the only limits in the world of custom knives is, imagination, makers skill, and how deep is your wallet. The “Custom Knife Collectors Association” or CKCA, is probably the biggest promoter and advisor within the collecting realm. In addition to the promoting, they also do a large amount of charity work. They also maintain a database of knife makers and help to maintain a certain set of standards in the hobby. We contacted Ryan Hays, President of the association for some advice to give to someone looking to buy a custom knife. Do your research before buying. Go to knife shows. Educate yourself. Learning about a maker before you buy is better than learning after you buy. You need to learn as much as you can about the maker. Is he a professional, is he going to be around if an issue comes up later. 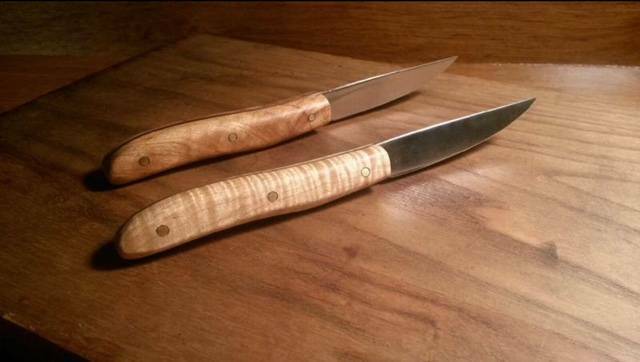 See if you can find out who else has bought from that maker, contact them and see if they are happy with the knife. There is no need to rush into buying a knife. Don’t let your emotions guide your buying. There are a lot of knife makers out there, thus there will always be good deals. Don’t buy as an investment. Buy because you love collecting knives. There are ways to invest that provide a far better return. In my Conversation with Ryan, I had asked him a little about his collecting and asked if he was a collector, maker or user. He sent me some photos of one of the knives in his collection, one he actually uses. Life is too short to own ugly knives. Thanks to Ryan Hays and the Custom Knife Collectors Association for the advice, if you have any questions you can locate them on the web. You will be hard pressed to find a nicer guy.